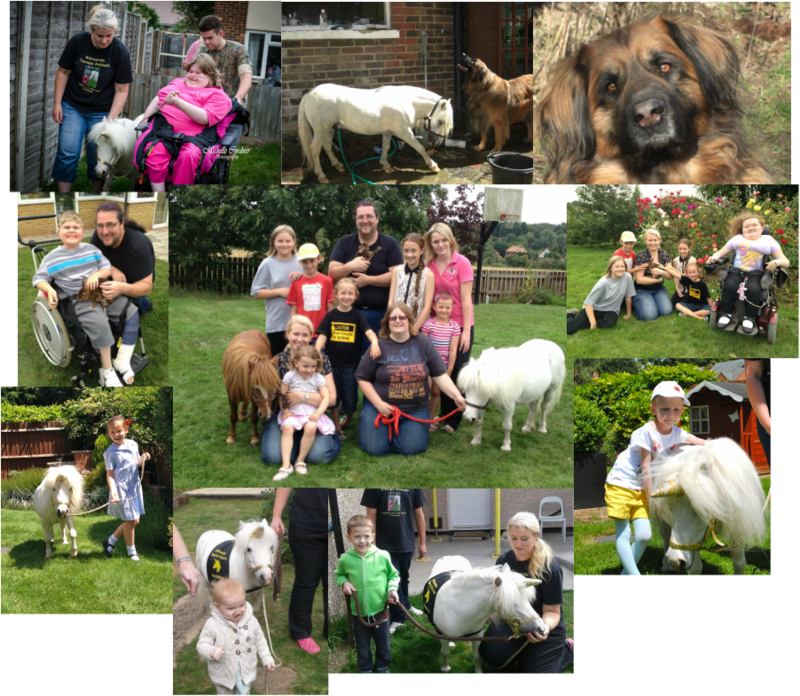 Welcome to our website, we live in Basidon, Essex and have a passion for animals. We want to share our passion for animals with you. Our animals are used as therapy animals with the sick, needy and terminally ill. We have an understanding of the needs of the autistic child and know how important sensory experiences with animals are, so if you have an autistic child and would like to come visit please contact us. We do therapy trips to special needs school's, hospices, charity events and also for single family visits. We are a non profit making charity and therefore only asked for donations towards are costs. We are extremely proud of our animals and the difference they make wherever they go. Applause our tiny white American Miniature horse has been doing these indoor therapy trips since the Autumn of 2007 - and he is a total hit wherever he goes. Our menagerie includes also a A mini dauschund, 2 miniature horses, 1 larger pony,1 donkey 2 mini Rex rabbits and 2 Skinny Pigs a blind Japanese Bantam Chicken as well as a VERY special KEETSO cat or 2. Our animals are our passion but they are also very much part of our family and the first thing we consider is what their temprement is and how they will fit in. 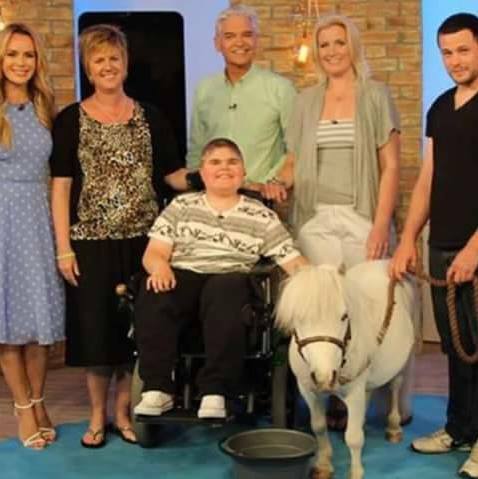 ​APPLAUSE OR MAIN THERAPY HORSE APPEARED ON ITV's This Morning !!! We are a small charity and rely on donations to help fund us and non of us get paid for what we do. In 2013 alone we did nearly 50 trips out with our animals OUR HORSE TRAILER AND ALL EQUIPMENT WAS STOLEN IN SEPTEMBER 2015 WE ARE STILL TRYING TO PICK OURSELVES BACK UP FROM THIS AND COULD DO WITH ANY HELP YOU CAN GIVE US. THANK YOU. WE ARE CURRENTLY LOOKING FOR SPONSORS TO HELP US DO MORE THERAPY WORK WITH SICK AND NEEDY CHILDREN AND ADULTS, IF YOU CAN HELP PLEASE CONTACT US OR YOU CAN MAKE AN ONLINE DONATION BY GOING TO PAYPAL BELOW - WHICH IS A SECURE LOCATION - THANK YOU. You can now see regular updates and pictures from therapy visits on our Facebook page, please visit it and Like us.